What’s Yellow Dog got in that tree? 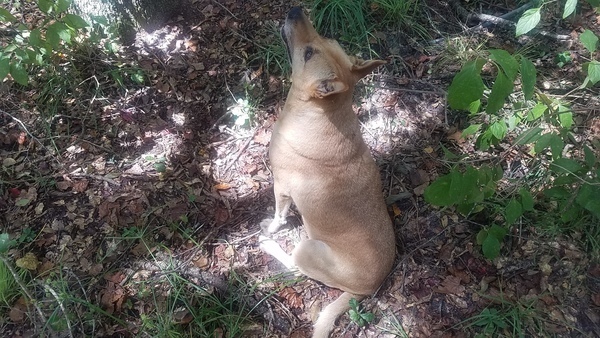 This entry was posted in Dogs, Okra Paradise Farms and tagged Brown Dog, Carolyn Selby, Cat, Dogs, Georgia, Gretchen Quarterman, John S. Quarterman, Lowndes County, Okra Paradise Farms, Yellow Dog on September 5, 2018 by John S. Quarterman. 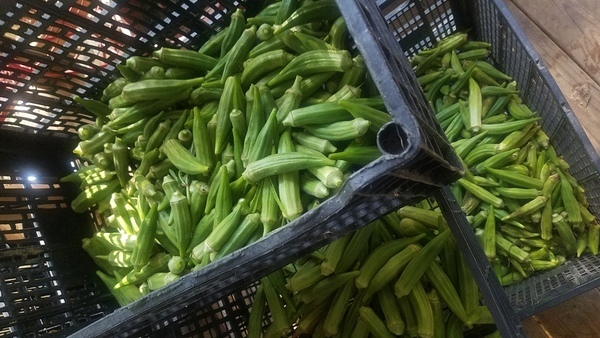 Picked this morning (2018-08-10), plus a previous day’s pickings: fresh okra. 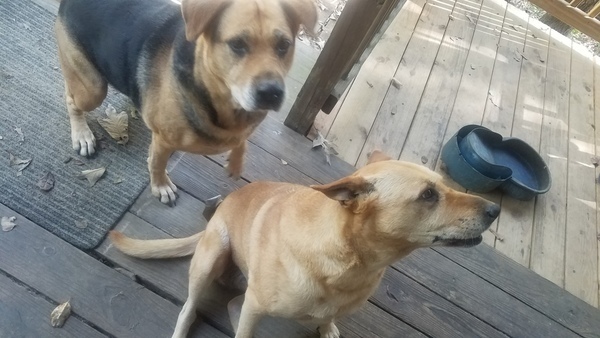 Yellow Dog and Brown Dog helped. 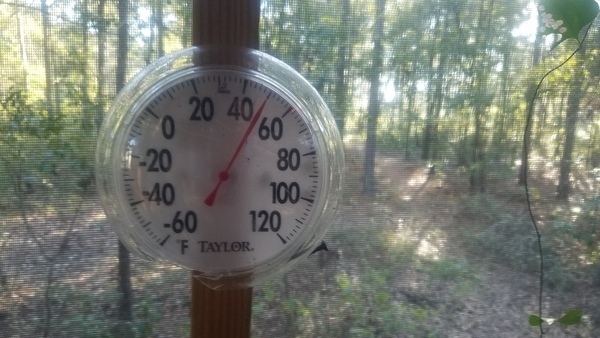 This entry was posted in Okra, Okra Paradise Farms and tagged Brown Dog, fresh, Georgia, Gretchen Quarterman, John S. Quarterman, Lowndes County, Okra, Okra Paradise Farms, Yellow Dog on September 5, 2018 by John S. Quarterman. A profusion of viney goodness. 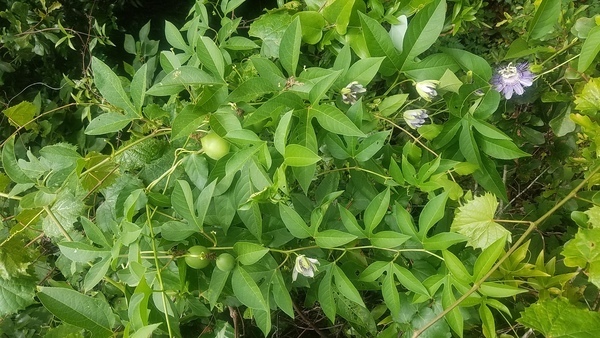 This entry was posted in Okra Paradise Farms and tagged Brown Dog, Georgia, Gretchen Quarterman, John S. Quarterman, Lowndes County, Okra Paradise Farms, Passiflora edulis, Passion Fruit, Yellow Dog on July 21, 2018 by John S. Quarterman. Some weeks back we saw a pair of Carolina wrens (Thryothorus ludovicianus) flitting about inside our screened porch. We thought they had wandered in and were trying to get out. But soon it became obvious they knew not one but two ways in and out. 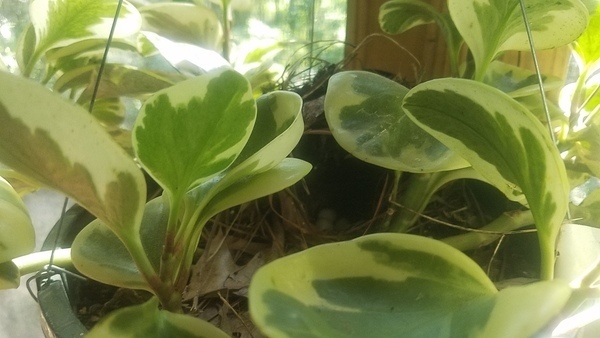 Then we noticed they had built a nest in the pot of a hanging plant. That seemed silly, and they seemed to have abandoned that quest. 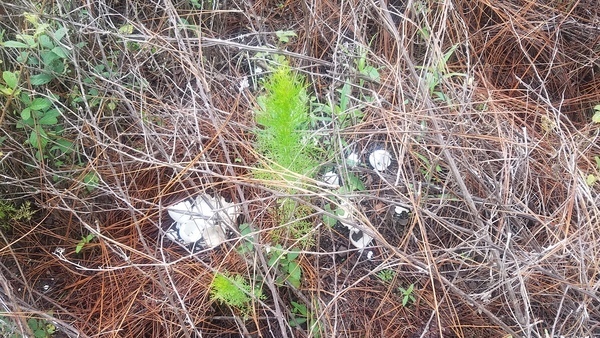 This entry was posted in Okra Paradise Farms and tagged bird, Brown Dog, eggs, Georgia, Gretchen Quarterman, John S. Quarterman, Lowndes County, nest, Okra Paradise Farms, porch, screen, Wren, Yellow Dog on July 12, 2018 by John S. Quarterman. 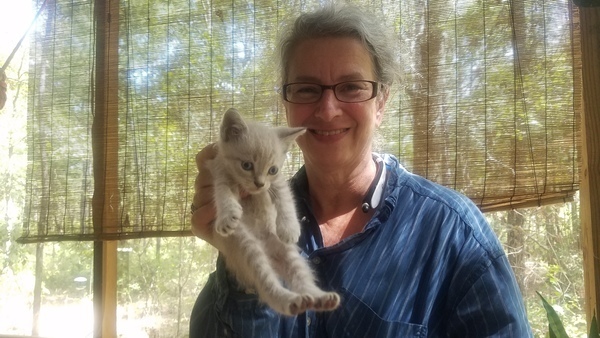 Gretchen was working at the potting table under the end shelter when she noticed something odd right by the table. It was Francine, our friend the softshell tortoise, in from the woods, laying eggs in the same under the shelter. 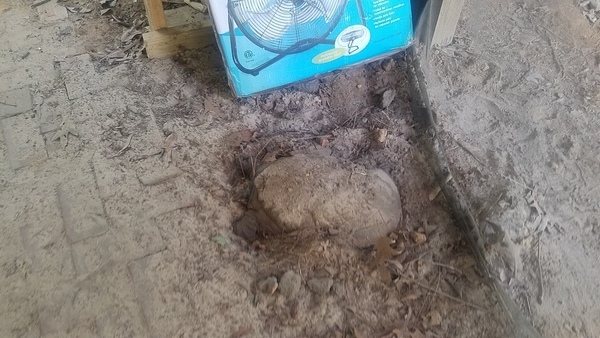 This entry was posted in Okra Paradise Farms, Reptiles and tagged Brown Dog, eggs, Georgia, Gretchen Quarterman, John S. Quarterman, Lowndes County, Okra Paradise Farms, reptile, Softshell turtle, Tortoise, Yellow Dog on June 1, 2018 by John S. Quarterman. Did these turkey eggs hatch, or did something get them? 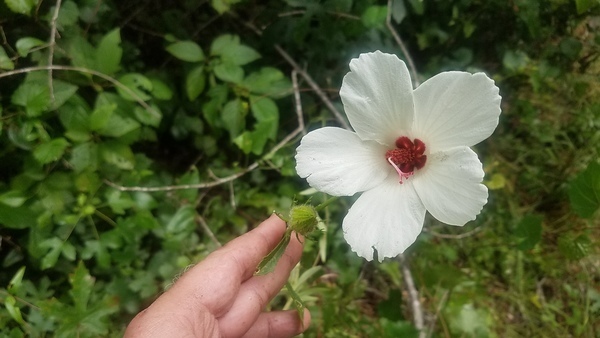 This entry was posted in Okra Paradise Farms and tagged Georgia, Gretchen Quarterman, hatch, John S. Quarterman, Lowndes County, Okra Paradise Farms, turkey on May 31, 2018 by John S. Quarterman.